Whenever a superhero movie is both critically and commercially successful, there’s usually the added pressure to make the follow-up an even bigger experience. The creative team wants audiences to feel like the stakes are raised, thus resulting in more money being thrown at the production to create a sequel that feels grander and, in the long run, has more explosions. However, despite all the success Deadpool has enjoyed over the last week, the movie’s scribes aren’t keen on going that route with the sequel just for the hell of it. Its worth noting that Wernick made that statement before Deadpool was released to the public last Friday, and since then the movie has earned over $316 million worldwide. So Fox is definitely going to throw more money at the sequel, and while the new budget may not quite reach $150 million, it’s hard to imagine it not getting to between $80-$100 million. To draw a few comparisons, Marvel Studios’ last non-ensemble sequel was 2014’s Captain America: The Winter Soldier, and that was given $170 million, while last summer’s Ant-Man cost $130 million. Aside from the addition of Deadpool’s partner/occasional adversary Cable, plot details for Deadpool 2 haven’t been revealed yet, which makes sense given that it was only green-lit last week. 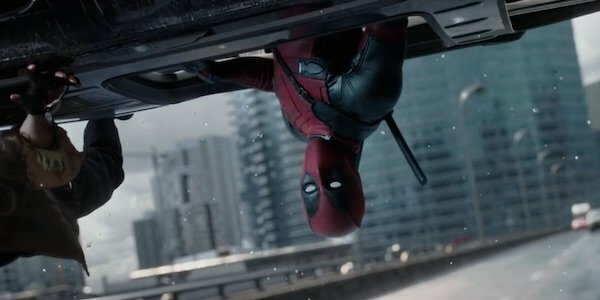 However, Reese and Wernick also recently said despite the stories featuring the Merc with the Mouth being inherently weird, from Wade breaking the fourth wall to his colorful supporting characters, they’re taking careful steps not to increase the "crazy" by too much. Deadpool was obviously a bizarre watch in the greatest way possible, but they also want to keep the story simple for the sequel. As this first movie proved, you don’t always need a massive budget to make a superhero movie great, and it sounds like Reese and Wernick know exactly how to make the Deadpool experience greater without breaking the bank. There’s no word yet on when Deadpool 2 will be released, but in addition to Ryan Reynolds, Rhett Reese and Paul Wernick reprising their respective duties, director Tim Miller is also in negotiations to return.